Learn to Tackle the Torch. 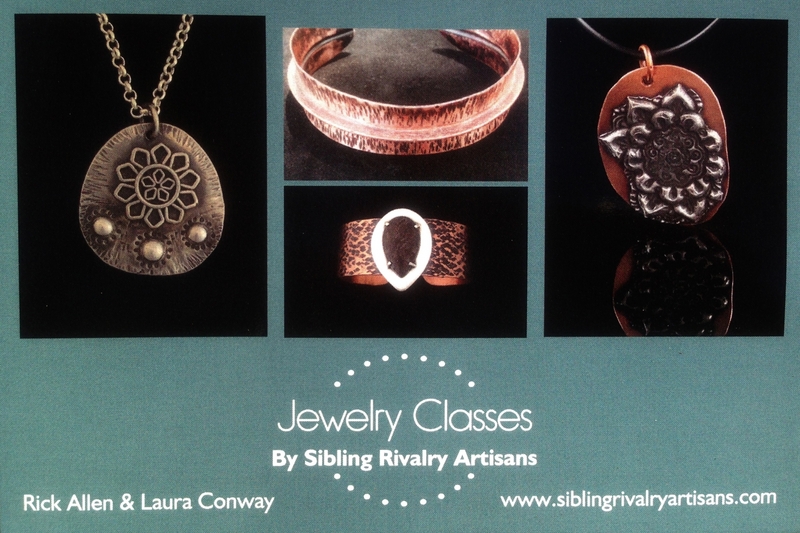 If you’ve ever wanted to solder silver and copper to make jewelry but are intimidated by the torch, this is the class for you. This class is for beginners and people that want a refresher soldering class. You will learn to cut, file, texture, patina and solder while designing and creating a unique pendant using sterling silver and copper. All you need to bring is your imagination. Class includes: Sterling silver, copper, sterling components, copper wire, jump rings, sterling chain, use of torch and all tools needed to complete your unique creation. Feel free to bring your own tools clearly marked with your name. We are offering an “Early Bird Special” of $85 if you sign up by 4/15/19.